Students tend to groan when they are handed yet another essay title to complete. Why do tutors insist on forcing us to write all these boring essays, they wonder? The fact is that writing essays is an extremely important part of the learning process, and if it is taken seriously then students can improve their writing skills with every essay they write. You are not given essays simply because tutors want to pile work on your shoulders and ensure that you don’t have any free time left to enjoy yourself! Remember that you are at college or university in order to learn and develop skills that will stand you in good stead for your future career. One of the most important skills that essay writing teaches you is how to present an argument. The purpose of setting you these assignments is to assess your ability to look at the available evidence, present a coherent argument, and come to a plausible conclusion. 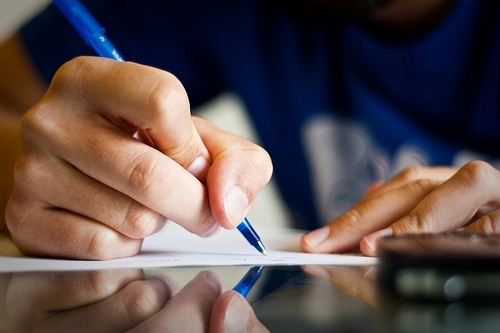 With every essay that you write, you can refine and improve upon your writing skills. Think of each assignment as one step on the road to your final degree; every assignment will help you get to where you want to be. The mistake many students make is to try to write the perfect essay, and then panic because they can’t do it, ending up in a mess. So don’t try to write the perfect essay; instead, aim to make each essay that bit better than the previous one. Another important reason for writing essays is that it gives you writing skills that you can later use in your career and other areas of your adult life. During your working life you will probably be called upon to write documents like reports and presentations. Or you may need to put together a business plan if you want to start your own business. Essay writing teaches you valuable transferable skills that you will use long after collecting your degree, so think beyond the date that you’ll be handing in your essay. Moreover, there are many different kinds of essays, and you’ll learn different writing and reasoning skills with each one. A comparative essay is different from a persuasive essay, and an analytical essay is different from a book report. And practically, developing essay writing skills will help you in writing any letters in your adult life. Of course these skills don’t come to you easily and automatically, so you can always turn to essay writing services for assistance. Essays are written by graduates with an MA or PhD, so you can be sure that they have acquired all the necessary skills to compile a top-notch essay. Use the essay they provide to learn from; study it carefully, and you will see how they put together a well-argued piece of work that demonstrates a thorough understanding of the topic. So when you’re wondering “who do I turn to for my assignment help?”, you have no need to panic or feel alone – you know exactly who to turn to.